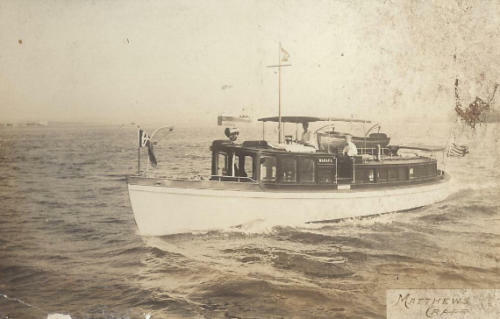 In 1890, an era of experiments on the "new" gasoline-powered engine and on sail and naptha-powered boats, the Matthews Boat Company was founded by Scott J. Matthews in the basement of his home in Bascom, Ohio. 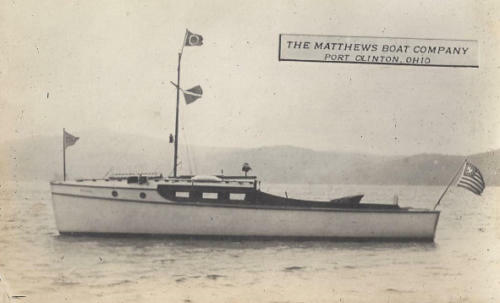 His venture quickly expanded to boat building at his father's sawmill, where, in 1898, he entered into an agreement with The Lozier Company in which Matthews built boats ranging from 16' launches to 45' cabin cruisers, all marketed under the Lozier name and shipped or run on their own bottoms to Plattsburgh, New York, where Lozier installed their engines. 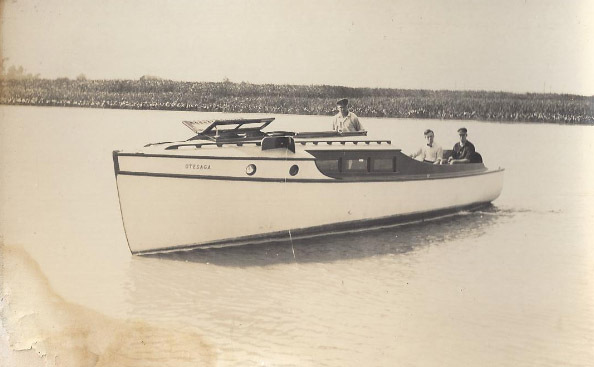 Lozier never built a boat-they were all Matthews built. By 1904, this arrangement ceased when Lozier turned to automobile engines. 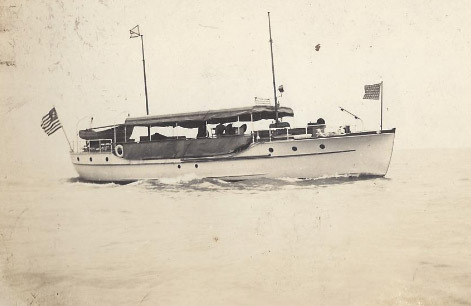 Bascom-built Matthews boats included the first Gold Cup Race winner, "Standard", an auto-boat marketed under the Lozier name; and "Onward", a 74' double ender that carried the Matthews family over 9,000 miles from Peoria, Illinois, down the Mississippi River, into the Gulf, around Florida, up the East Coast, and through the Erie Canal back to Ohio. Matthews' endeavors were so successful that by 1906 he moved his company, at the invitation and with the financial support of the local businessmen, to Port Clinton, Ohio, where there was deep-water and East Coast access necessary to the building and marketing of larger boats. 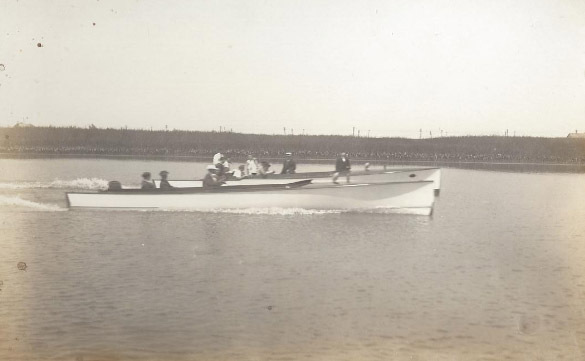 The company, now called The Matthews Company, continued to prosper, building nothing but quality boats that became world-renowned. 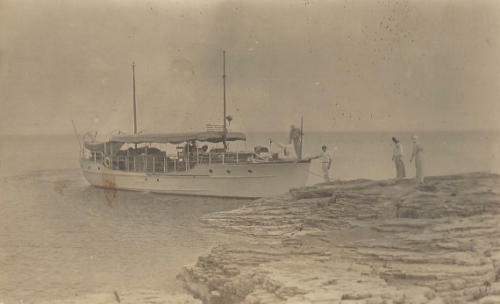 In 1909, Matthews received a government contract to build utility boats for the U.S. Army; "Mahapa", an 85' cruiser, was built in 1910 for H. A. Parsons of Cleveland. 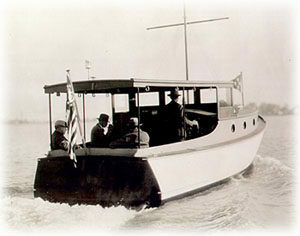 In 1912, W. E. Scripps, Commodore of the Detroit Motor boat Club and President of Scripps Motor Company, contracted with Matthews for a 35' LOA, 10' beam vessel capable of crossing the Atlantic under gasoline power. 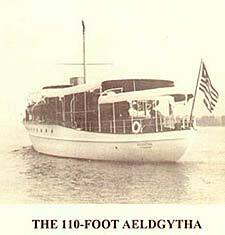 The boat was an over-sized lifeboat, called a "trans-Atlantic liner" by Rudder, 1912. Captained by Thomas Fleming Day, editor of Rudder, the "Detroit" ran to New Rochelle, New York, where she began the cruise that would carry her over 4,000 miles in 21 days to Ireland, thence to St. Petersburg, Russia. 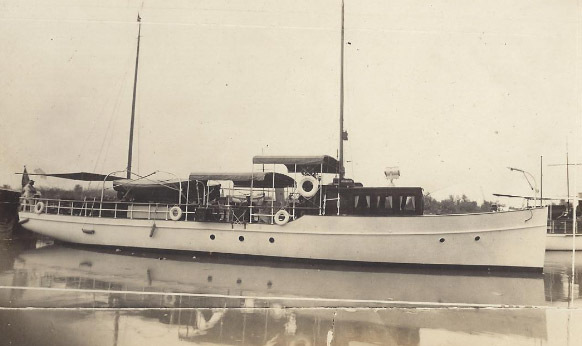 Powered with a 16 horse Scripps engine and carrying a crew of three, she was the smallest gasoline powered vessel to cross the Atlantic. 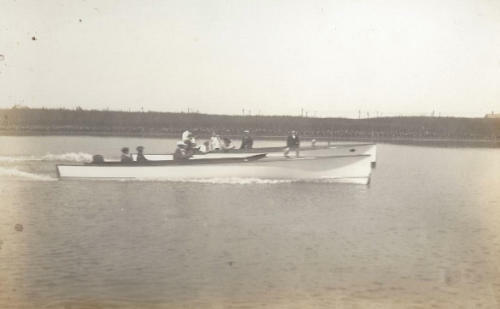 By 1916, Matthews changed its name from The Matthews Boat Company to The Matthews Company, expanded, and was a successful bidder for government contracts for World War I. The company built 110' sub chasers in 1917 and built a new shop to house 5 of these vessels at one time. Matthews also built airplane hulls during World War I, delivering them without wings to the East Coast. Following World War I, an economic depression forced Matthews to again diversify. 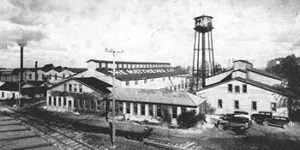 The company manufactured towel racks, meat cutters, and talking machine cabinets in order to retain the men on the payroll. 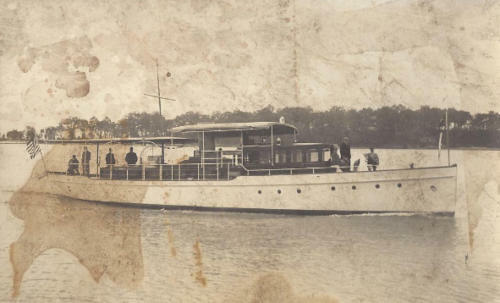 Although the 60' "Whitecap" was built in 1919, the plant had so little work it closed its manufacturing operations in August of that year. 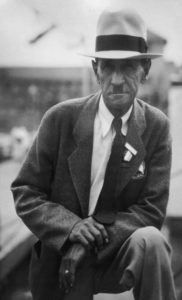 Scott Matthews invented the Ker-O-El, a lighting plant used primarily on farms, and a rope "chain" for car tires to prevent skidding during winter. 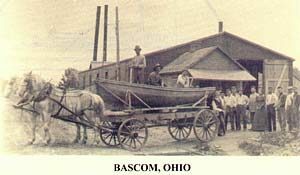 These innovations provided work for the Matthews employees until 1922 when boat manufacturing once again was undertaken. 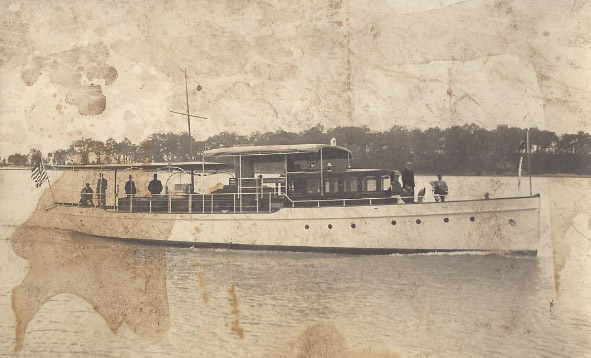 The company was successful with individual, business, and government contracts, building 50' passenger boats for an amusement park, rum chasers (speedboats) for the U.S. Government, and the 95' cruiser "Oswichee" for Mr. Joseph Williams of Cleveland. In spite of active business, Scott J. Matthews was concerned that economic slumps would again affect steady employment for his men. In 1924 he introduced a 38' "special", the first stock built boat in the industry. Past work had been entirely by individual contract and design; the new Matthews "38" would be standardized, allowing him to keep his employees busy during slack periods and preventing layoffs. The last custom boat ever built was the 99' "Irwin", completed in 1925, and delivered by water to its New York City owner. 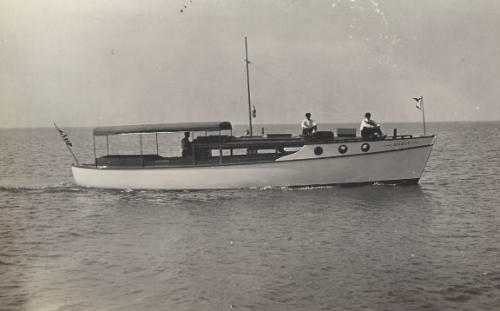 The stock built line included a 46 foot introduced in 1926, a 32' speed cruiser in 1928, and a 25' sailboat in 1934. By 1942, Matthews had again turned to war production, primarily building 36' and 38' landing crafts. Matthews 38's were built for patrol boats, many under the Lend-Lease Plan. 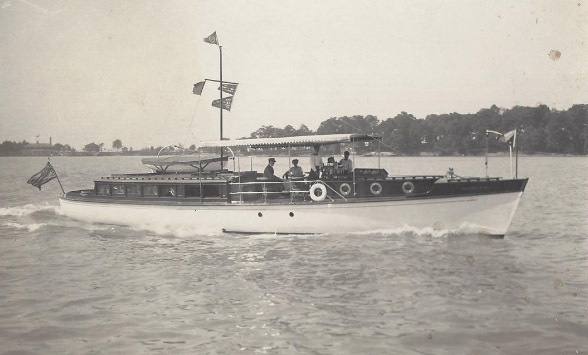 Matthews celebrated its 60th anniversary in 1950 and introduced the first modern-day double cabin in 1951, a 42' flying bridge model. Scott J. Matthews, now in advanced years, turned much of the plant operation over to his oldest son, Carl, who became President when the elder Matthews passed away in 1956. Carl introduced the first flush-deck double cabin in 1962. However by 1962, the two sons and two daughters of Scott J. Matthews were approaching retirement age; the sale of the company to Charles Hutchinson in October, 1964, was a family decision. Hutchinson celebrated Matthews' Golden Jubilee in 1965. By 1969, he had contracted with Halmatic of England to build 46' fiberglass hulls that were nearly identical in weight, appearance, dimensions, and performance to the Matthews 45' wooden hull. Halmatic hulls were shipped to Port Clinton where cabins, bridges, and interiors were built. The only fiberglass Matthews hull was the 56, first produced in 1971 in what was then the world's largest rotating mold. The 56 was available in several designs, including motor yacht, trawler, yacht fish, flush-deck double cabin, and s port fish. Production and sales decreased steadily in the early 1970's.